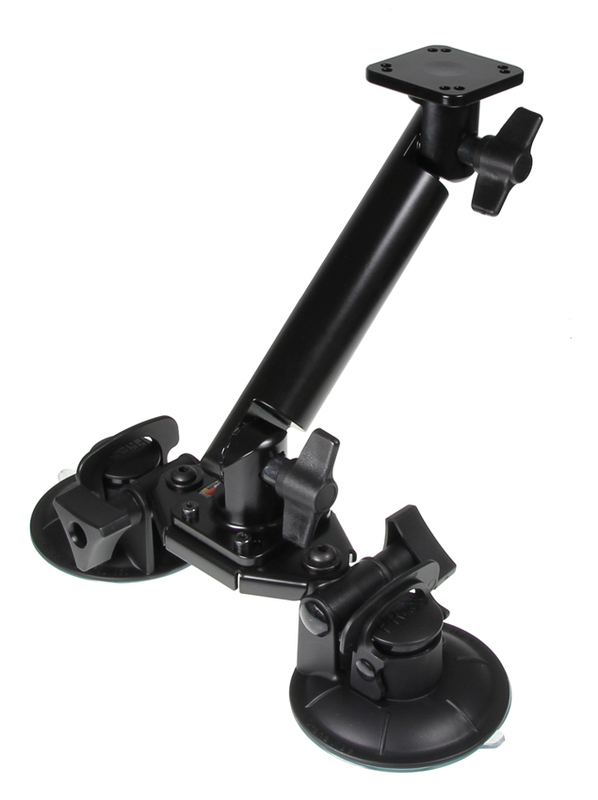 Dual Suction Cup Mount with Pedestal Mount 8". Mounting plate: 50x50 mm. 2xAMPS holes. With wingnuts. 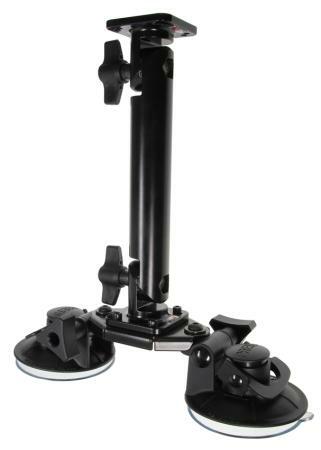 The dual suction cup with Pedestal Mount gives a strong mounting solution for most flat surfaces. The angle between the Pedestal Mount parts can easily be angled sideways in steps of 24°, up to a maximum of 192° (8 different positions), just by loosening the wing nuts. The mounting plate is 50x50 mm and has dual AMPS-holes. Dimensions: 245 x 265 x 85 mm (W x H x D mm).